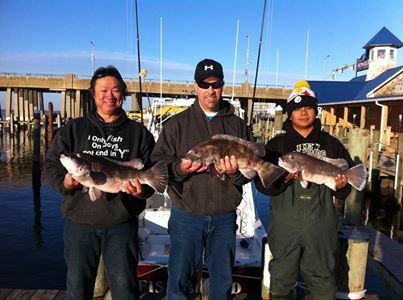 We made it out on our first tog trip of the year with Ken, Mario, and John. There was a picky bite most of the day with a lot of throw backs. No wind & current made for some tough anchoring conditions, but the guys ended up with a decent amount of keepers up to 8lbs.